Spend a special night with that special someone or your girls! Enjoy an evening of dinner and dance the night away with the amazing True Soul Duo. Dinner is $25 per person. Enjoy Valentine’s Day specials all night long along with some live music from 6:30 p.m. till close. Looking for a special something to do with your Valentine? Head over to Angry Tuna Seafood Company. Enjoy some champagne or wine and dance the night away. Couples will be $75 and $40 for singles. Do something a little different this V-Day and enjoy an evening featuring a Valentine’s themed cookie pop up by Sugar and Heart Bakery. There will be wines and prosecco by the glass and more! Celebrate Valentine’s Day on the scenic 30A! Read more about the event and the menu for the evening here. A dinner for two for only $39!! Enjoy a bottle of wine or $4 pints and cans of Grayton Beer! WaterColor Inn Spa has some exciting specials to celebrate Valentine’s Day! Book a service or treatment for Valentine’s Day through the weekend. End your Valentine’s weekend with a run/walk through a beautiful state park! Enjoy a special morning of tea or coffee with loved ones! Lunch will be served at noon, as well. The perfect Galentine’s night out! Get festive, wear pink, and play some trivia. This Valentine’s Day head over to The Crab Trap where they will feature a 3-course menu with complimentary champagne. Love is in the air at Cuvée Kitchen + Wine Bar! Enjoy their new menu with your special someone this V-Day. 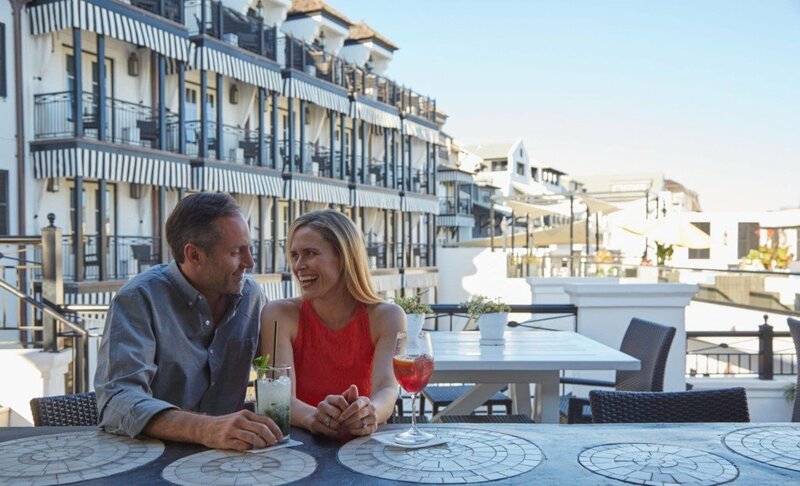 Meet with other moms and stroll around beautiful Rosemary Beach with your little Valentine’s. Have a special night at a Valentine’s dinner at Havana Beach Bar & Grill! $95 per person.